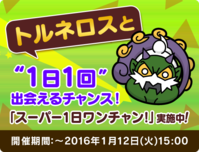 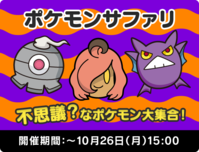 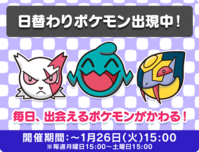 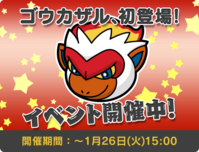 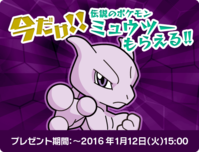 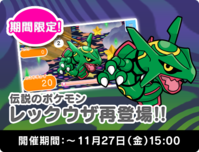 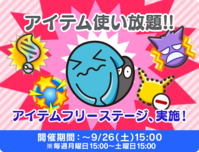 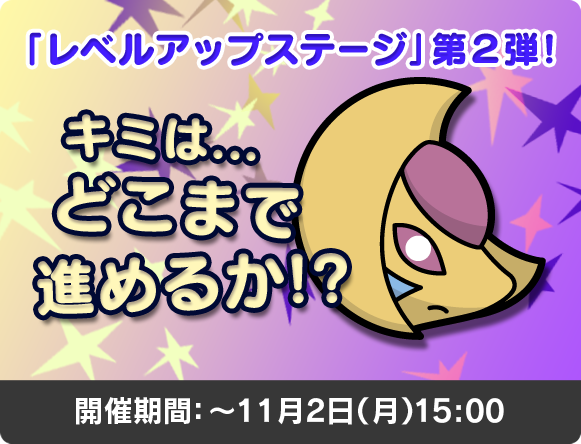 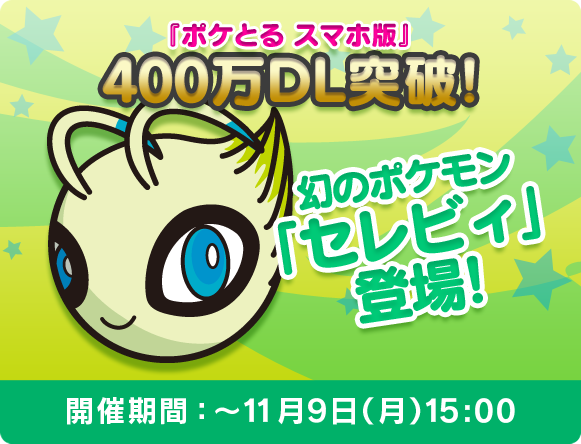 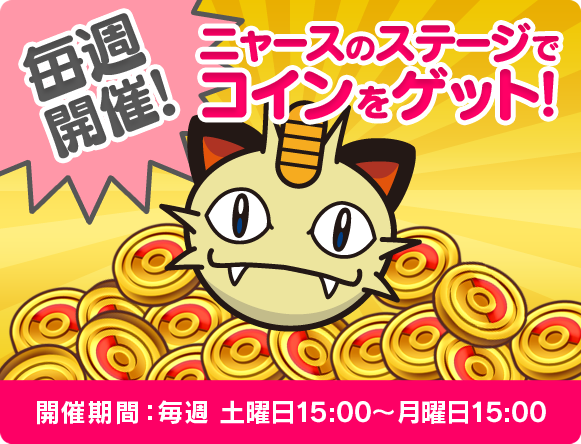 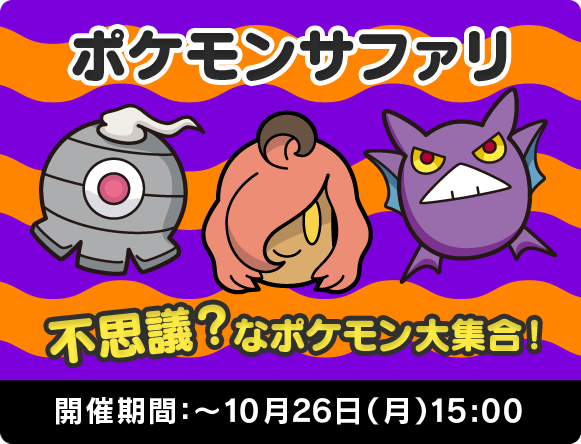 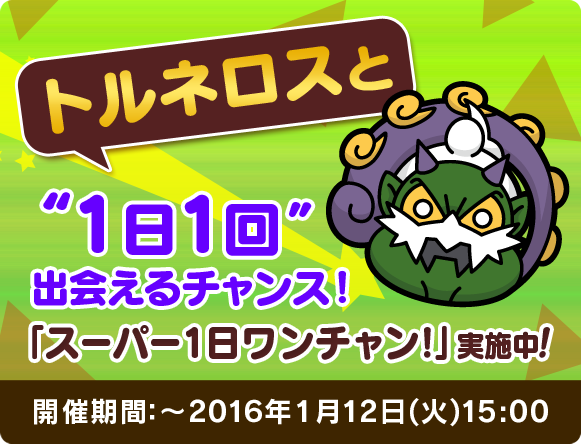 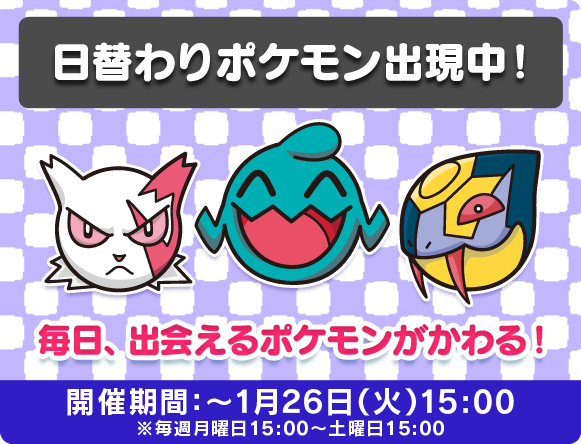 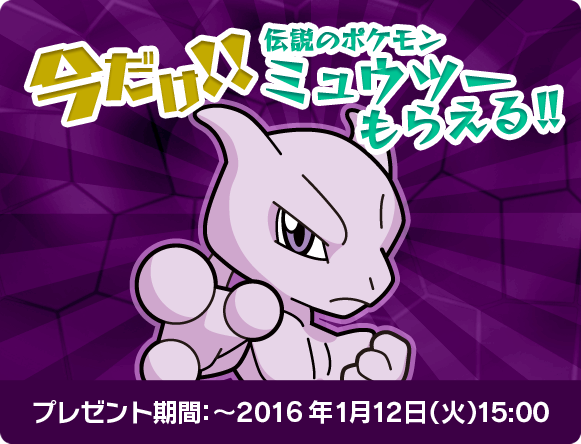 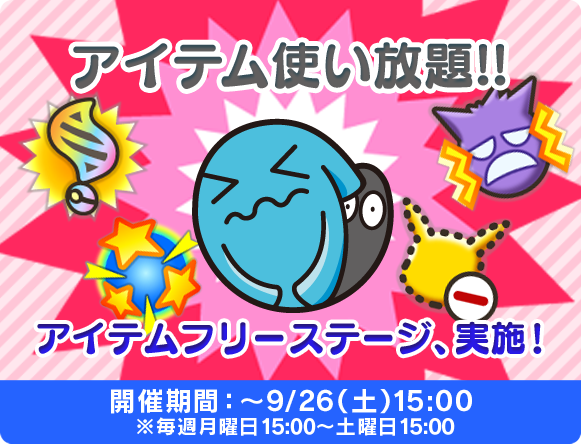 To commemorate the release of Pokémon Shuffle Mobile, a special stage featuring the Mythical Pokémon Mew was the first event distribution. 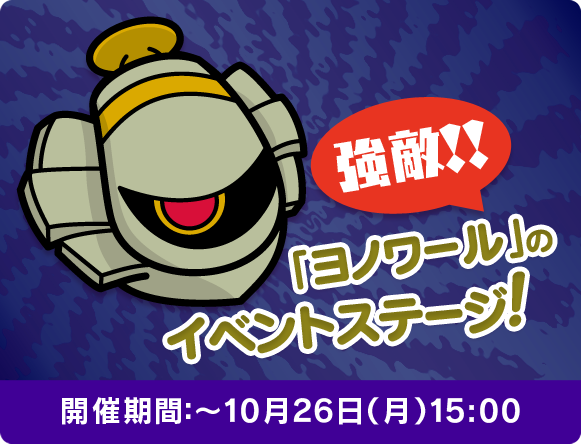 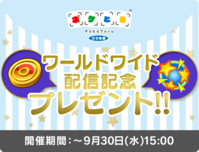 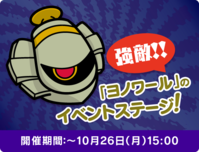 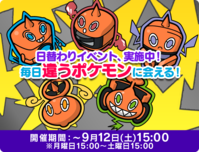 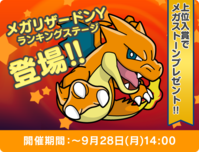 Distribution Dates: Japan - August 23rd, 2015 until 06:00 UTC September 28th, 2015. 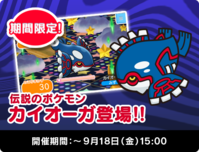 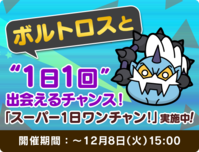 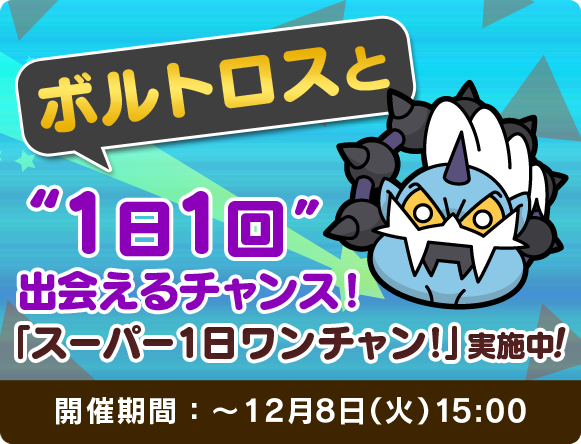 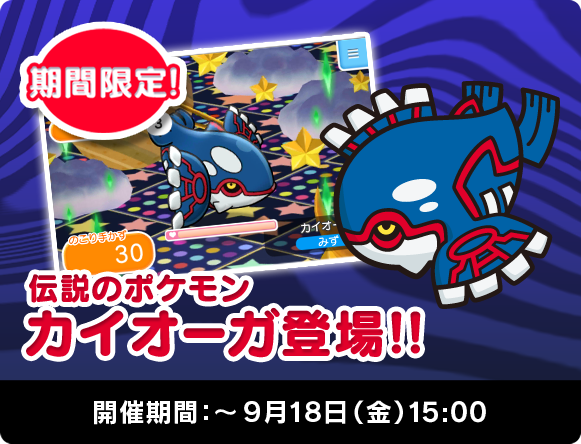 Players that catch Kyogre will be able to use Kyogre’s skill is Rock Break which will randomly erase a single stone disruption. 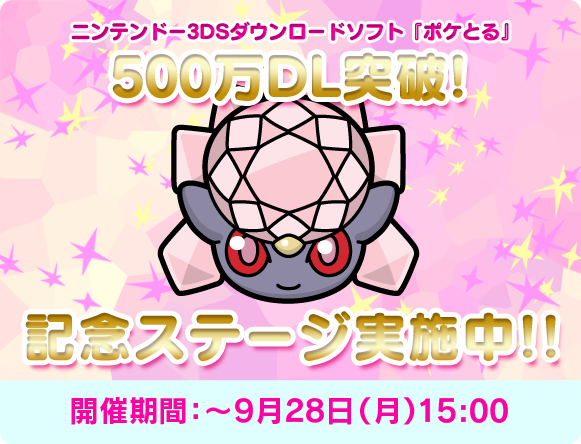 Distribution Dates: September 3rd, 2015 until September 18th, 2015. 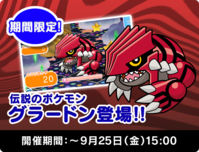 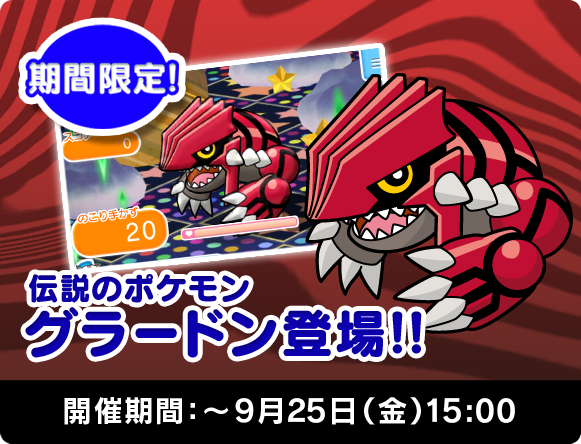 Groudon has the Quake ability which has a chance to increases damage and leave the opponent paralyzed. 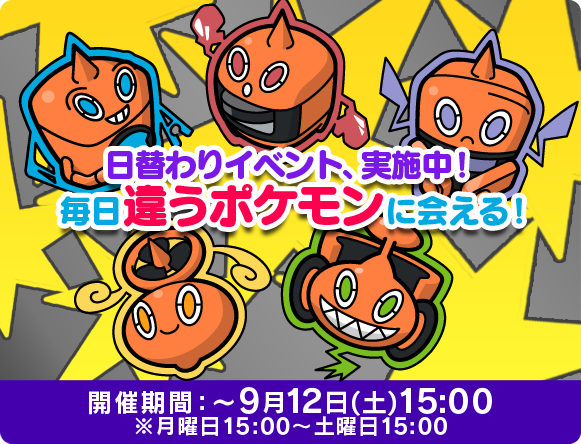 Distribution Dates: September 11th, 2015 until September 25thm 2015. 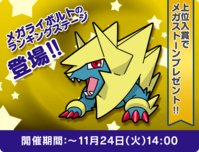 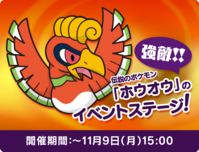 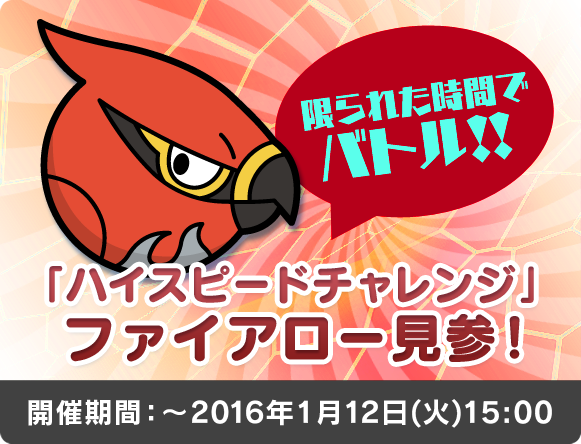 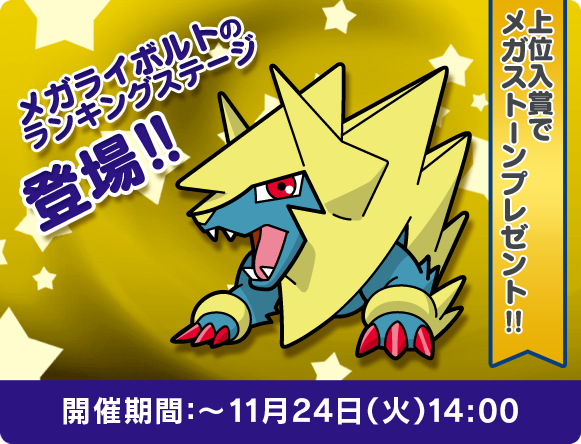 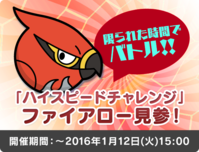 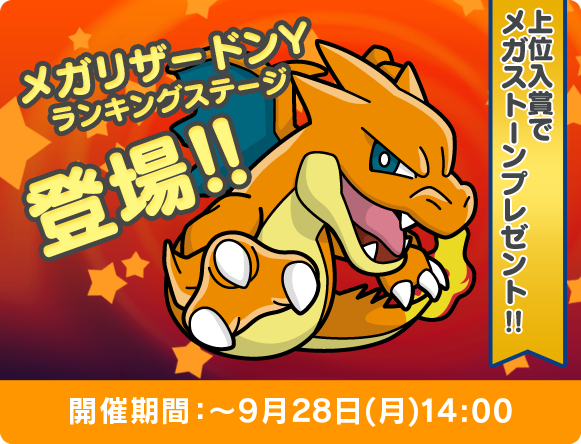 The Mega Charizard Y Competitive Stage allowed the top 250,000 players in Japan to receive a Charizardite Y. 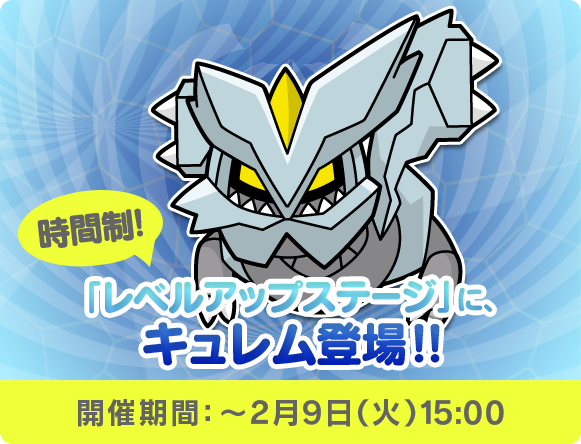 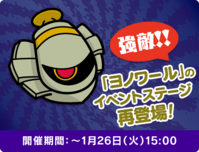 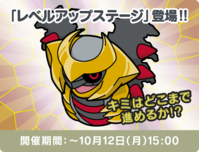 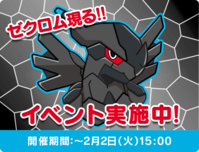 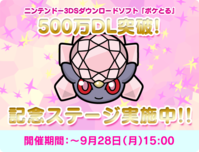 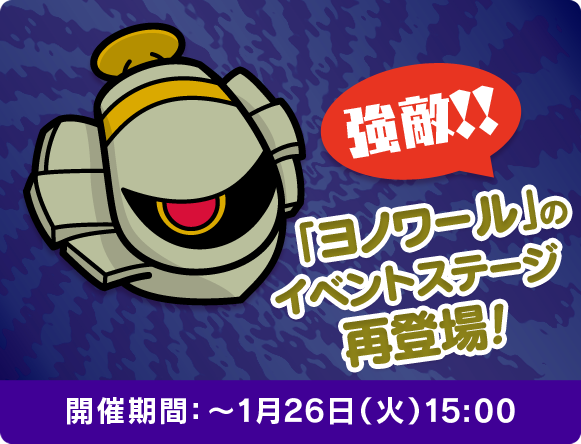 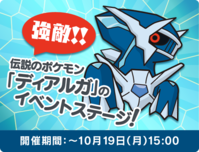 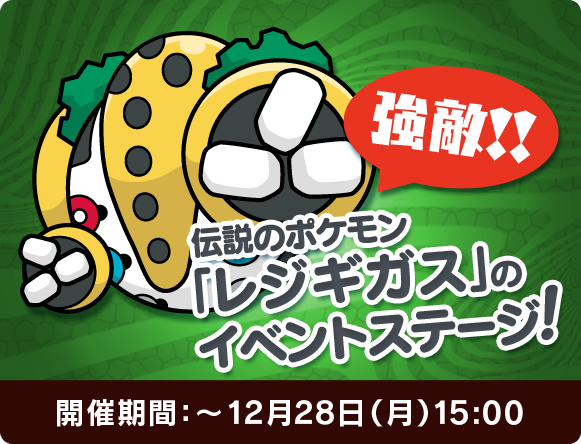 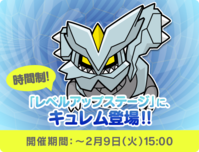 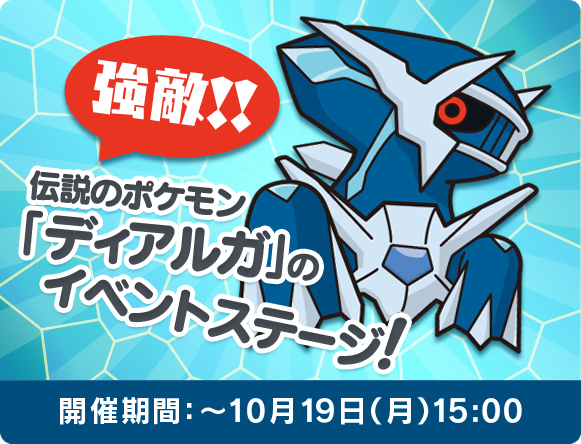 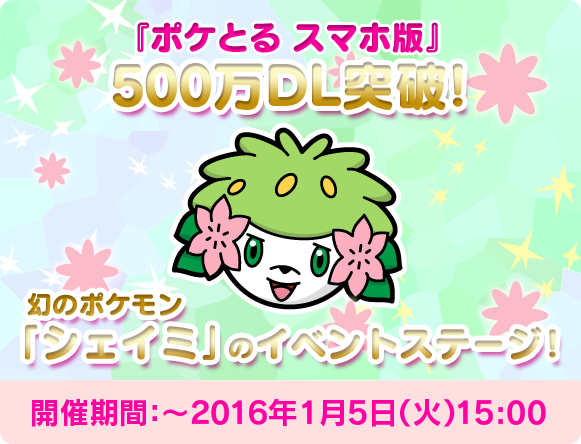 Those that placed in the top 250,001 through 500,000 received a Jewel and an Attack Power ↑ . 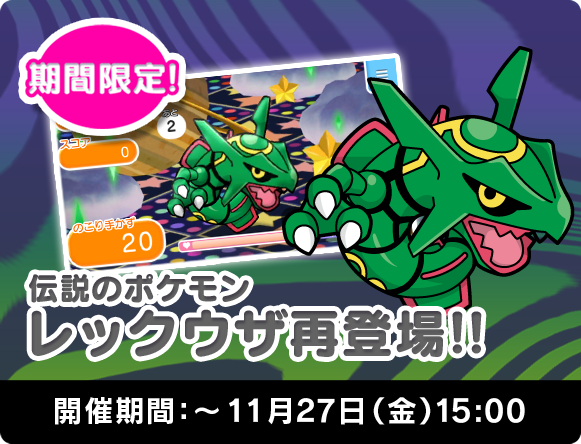 Rayquaza: Rayquaza has the ability Dragon Talon and its attacks sometimes deal greater damage than usual. 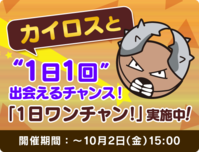 Distribution Dates: September 18th, 2015 until October 2nd, 2015. 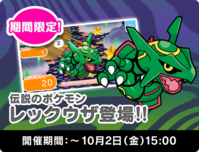 Escalation Battles increase in difficulty every time the player clears the stage but reaching higher stage levels may make it easier to catch. 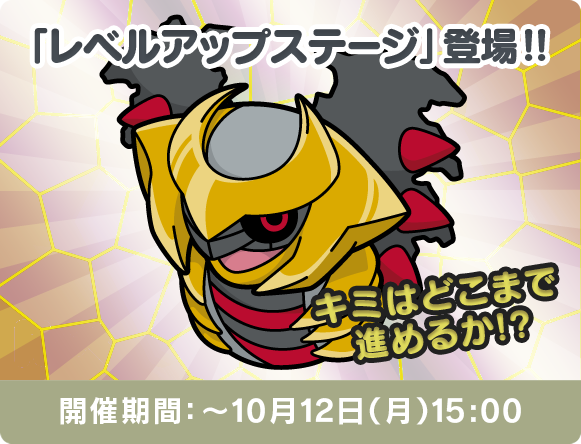 Giratina's skill is Power of 4+ and if the player lines up and clears four Giratina icons, the damage dealt to the opponent is tripled! 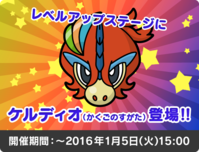 This was the players chance to take on the Mythical Pokémon Keldeo. 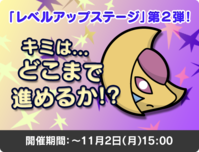 It could only be encountered in this stage. 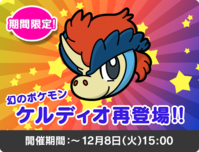 Keldeo's skill is Block Bash. 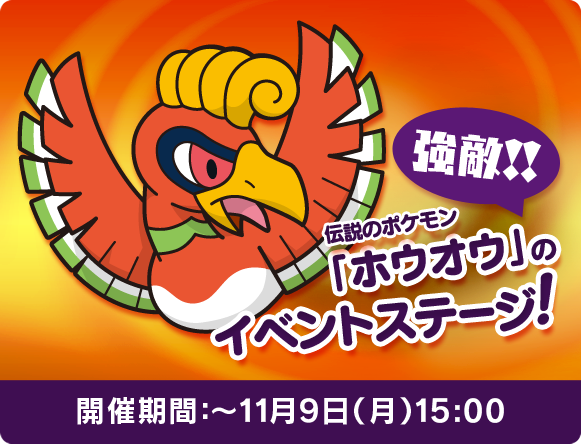 When players clear Keldeo, it will also clear one disruption at random that cannot usually be destroyed. 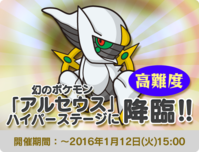 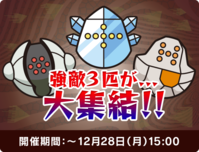 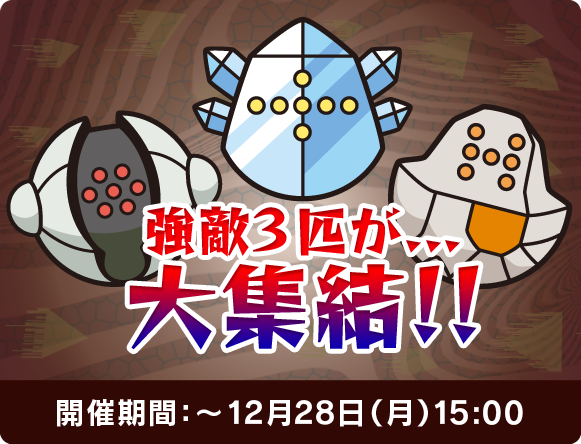 The Cresselia Escalation Battle special stage gave different rewards at different levels. 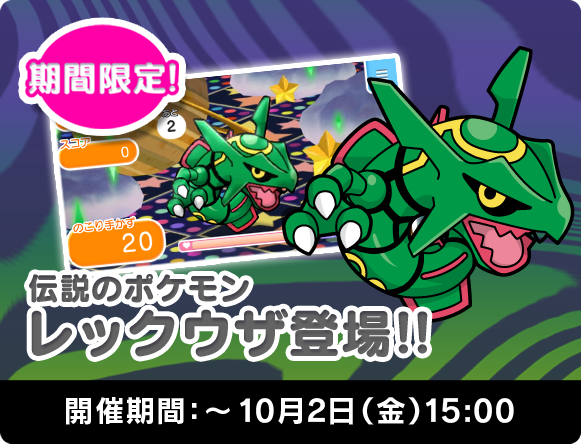 Level 5: Moves +5, Level 10: Disruption Delay, Level 30: Mega Start, Level 50: Mega Speedup, Level 100: Mega Speedup, Level 200: Mega Speedup. 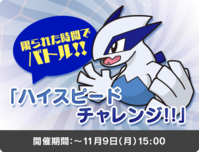 The Lugia High-Speed Challenge was also available for both the 3DS and mobile versions of the game at the same time. 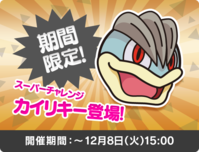 Its Ability Eject+ removes one non-Support Pokémon icon without fail. 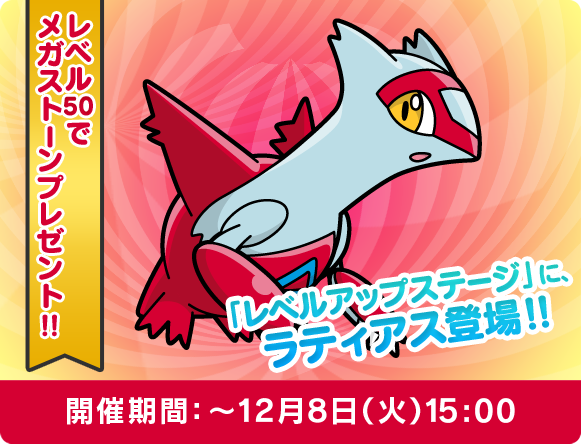 Battle the Legendary Pokémon Latias! 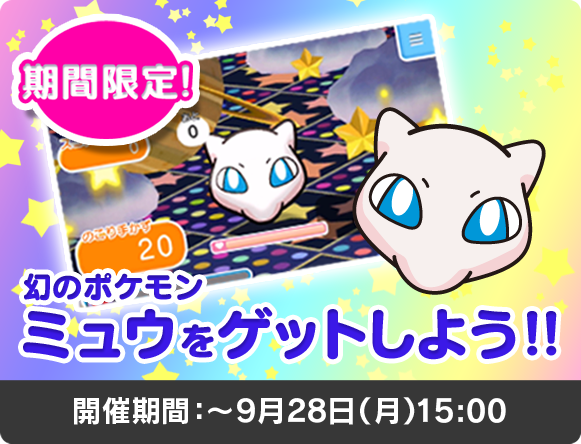 Play in the Latias Escalation Battle in Pokémon Shuffle Mobile until you catch the Legendary Pokémon. 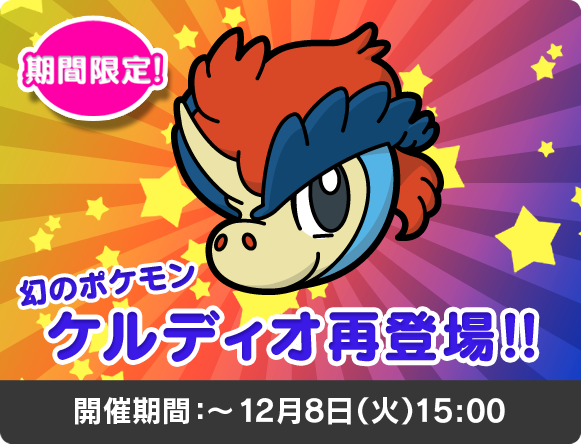 Keldeo: Battle Keldeo in Pokémon Shuffle Mobile! 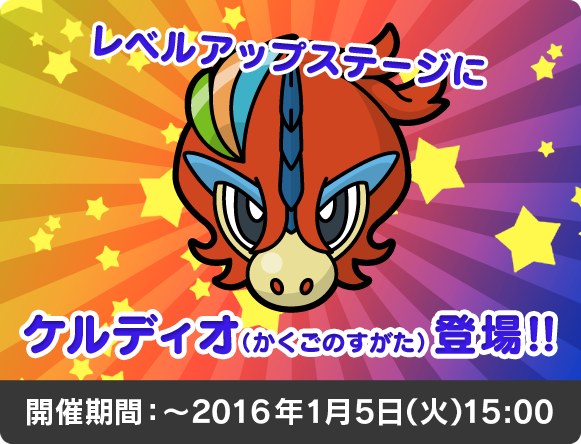 Play the Mythical Pokémon Keldeo’s bonus stage for your chance to catch it! 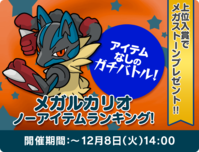 Get Mega Lucario’s Mega Stone! 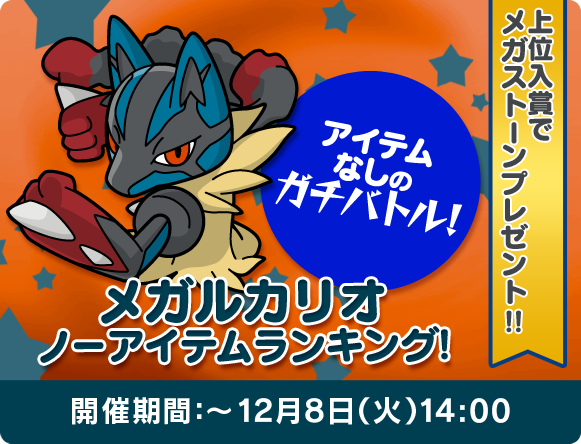 Play against Mega Lucario in a Pokémon Shuffle Mobile competitive stage to get its Mega Stone. 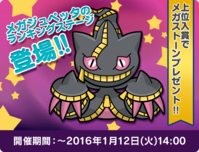 Battle for Mega Banette’s Mega Stone! 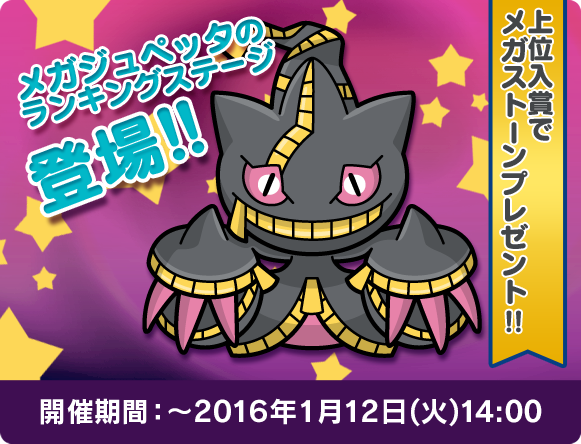 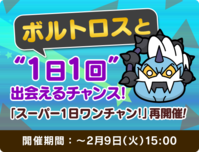 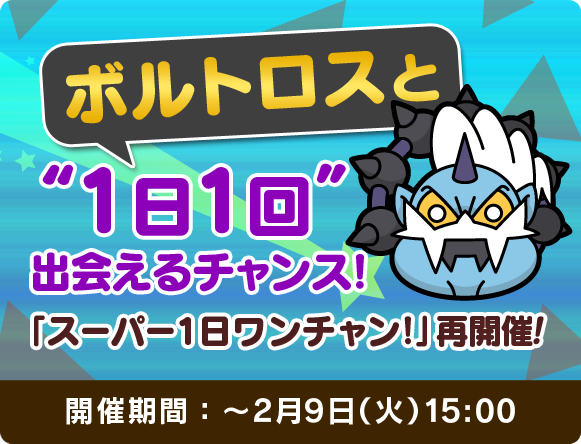 Challenge Mega Banette in a Pokémon Shuffle Mobile competitive stage for the chance to earn its Mega Stone. A Tough Challenge Awaits Against Arceus! 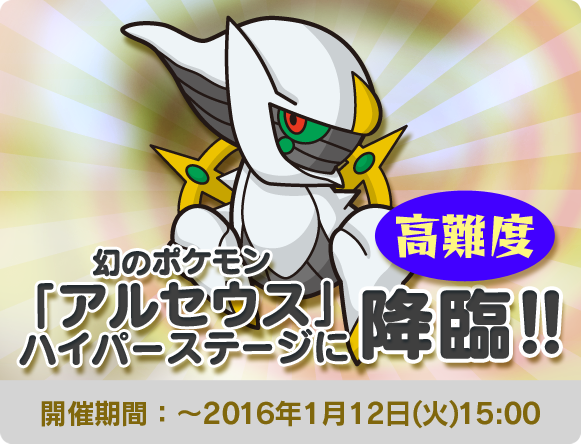 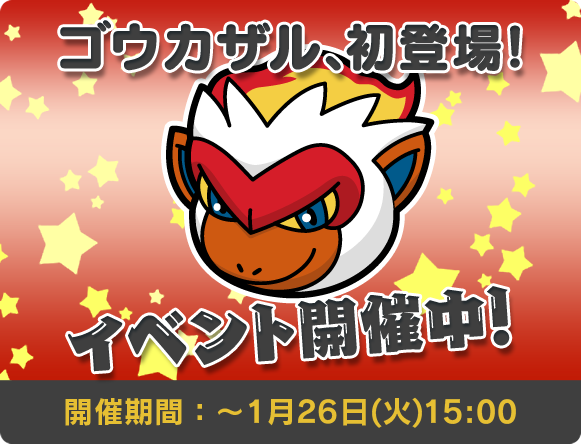 Play against the Mythical Pokémon Arceus in a Pokémon Shuffle Mobile Ultra Challenge! 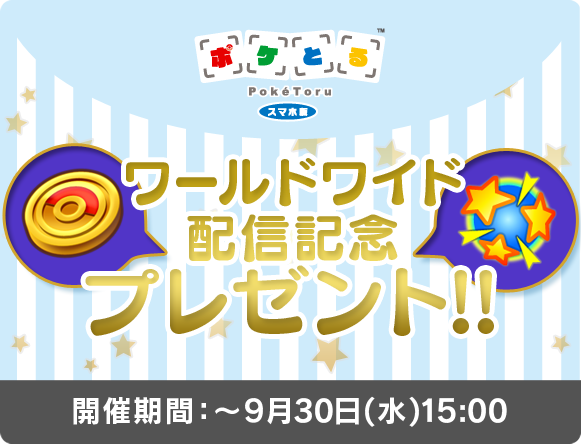 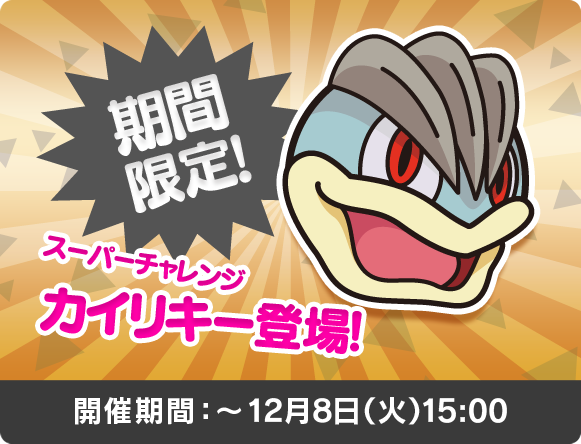 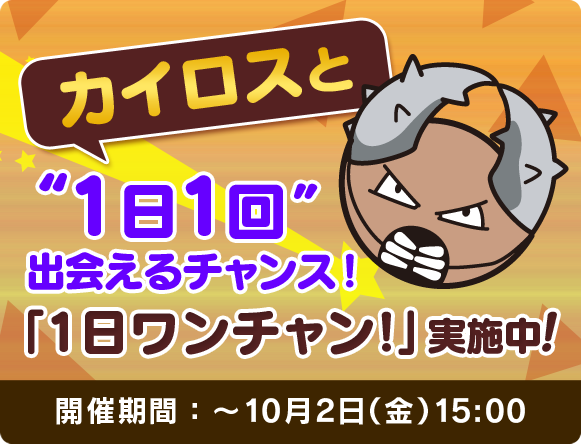 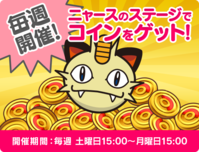 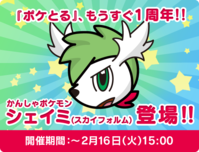 To celebrate the worldwide launch of the mobile version of Shuffle, those that logged into the mobile version of the game received 10000 coins and a Attack Power ↑ as a gift. 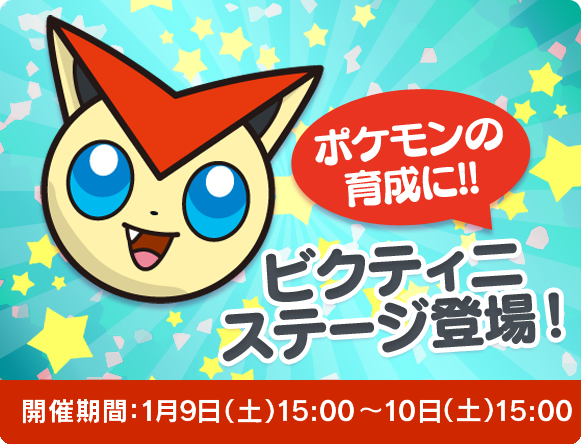 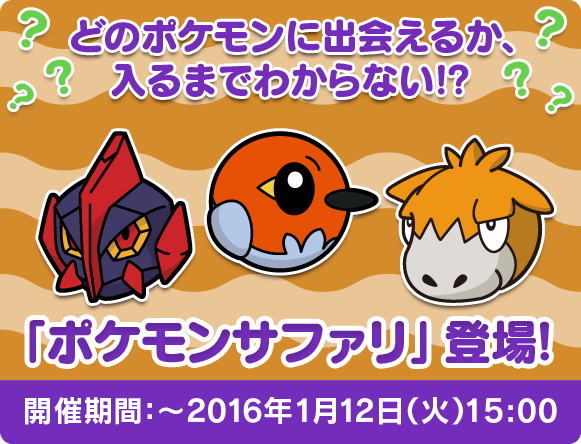 Victini: Players could receive more Exp. 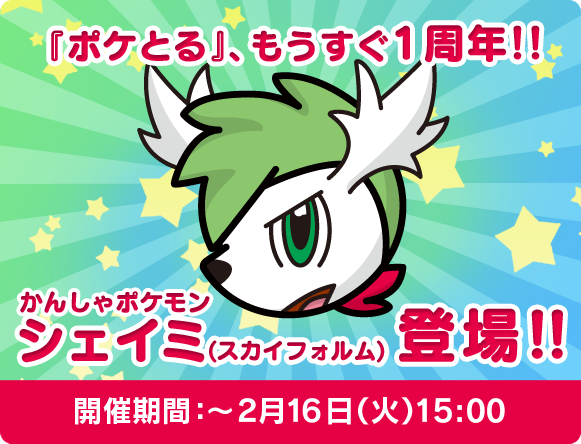 Points on the weekends by playing the Victini's stage. Victini: The expedition is on! 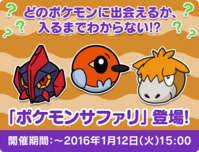 In Pokemon Safari, the Pokemon that show up change every time you play. 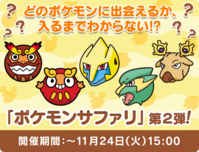 In this safari, you have the chance to battle and catch Cherubi, Carvanha, Spinda, Cherrim, and Sharpedo. 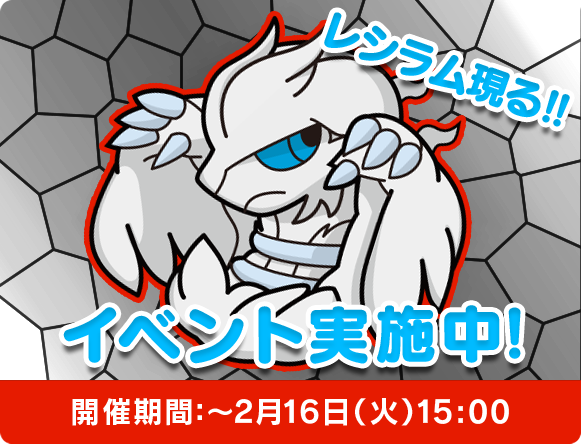 And you'll find that some are easier to encounter than others. 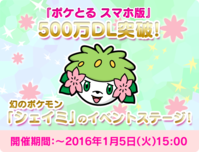 There is no Optimize in Pokemon Safari. 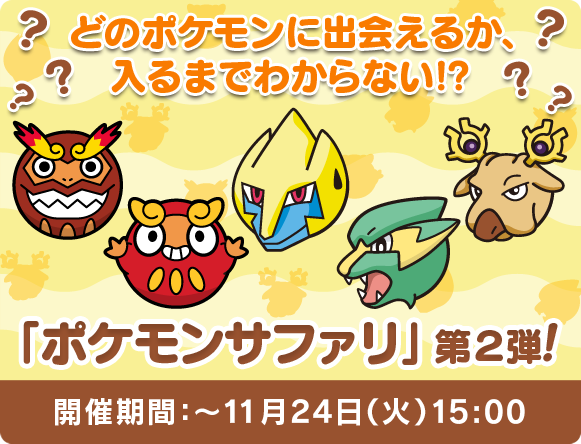 It's up to you to pick the most powerful Pokemon, so choose your own dream team. 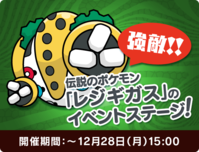 Why not give some Bug-type Pokemon a try? This page has been viewed 14359 times.